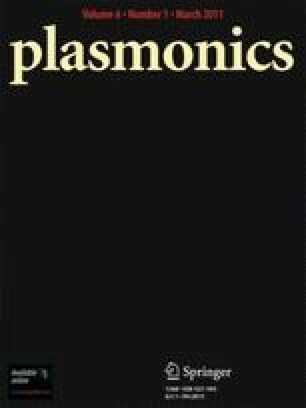 It is demonstrated that the sensitivity of surface plasmon resonance phase-interrogation biosensor can be enhanced by using silver nanoparticles. Silver nanoparticles were fabricated on silver films by using thermal evaporation. Sizes of silver nanoparticles on silver thin film can be tuned by controlling the deposition parameters of thermal evaporation. By using surface plasmon resonance heterodyne interferometey to measure the phase difference between the p and s polarization of incident light, we have demonstrated that sensitivity of glucose detection down to the order of 10−8 refractive index units can be obtained. H.-P. Chiang acknowledges the financial support from the Center for Marine Bioenvironment and Biotechnology, National Taiwan Ocean University, and the National Science Council of ROC under grant number NSC 97-2112-M-019-001-MY3.